Poor narrator. He tries so hard to tell the traditional Jack and the Beanstalk story, but Jack just won't cooperate, and he complains the whole way, first about selling his cow, then about climbing the beanstalk, and finally refusing to rob the giant. And then to top it all off, he gives away the ending of the story. In frustration, the narrator tries to end the story, but naturally Jack doesn't let him have his way. 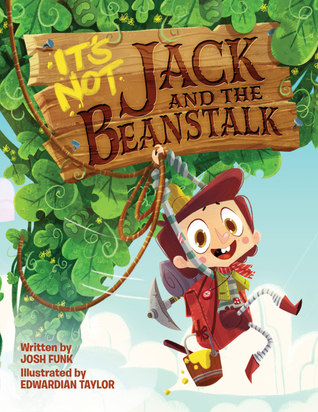 Funk and Taylor have created a thoroughly amusing fractured telling of Jack and the Beanstalk. And they've thrown in Cinderella to boot. This is another fun retelling for me to add to my growing collection. 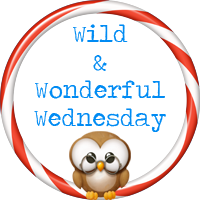 It's fun to compare original fairy tales with fractured ones. And when the illustrations complement the humor as well as these do, well that is icing on the cake. The author of the New York Times bestselling I Survived series brings us more harrowing true stories of real kids up against terrible forces of nature. From fourteen-year-old lone survivor of the shark attacks of 1916, to nine-year-old who survived the Peshtigo fire of 1871 (which took place on the very same day in history as the Great Chicago Fire! ), here are four unforgettable survivors who managed to beat the odds. There seems to be something compelling about hearing disaster stories. Especially if they happen to someone else. And to be honest, I'm no different in that regard. When I think about what it is that draws me to these stories I come up with three reasons: it makes me happy to be living my own life, I admire the determination and courage that often shines through in such stories (not that everyone behaves that way), and I'm looking for ideas for how I could survive if such a thing ever happened to me. Young readers aren't any different than older readers when it comes to disaster stories. 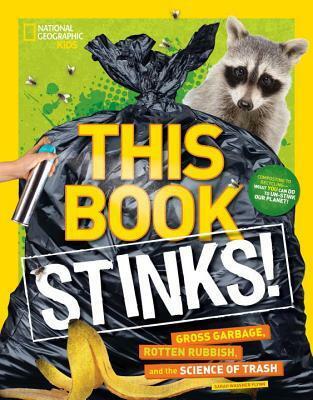 And true disaster stories are especially appealing for some readers. 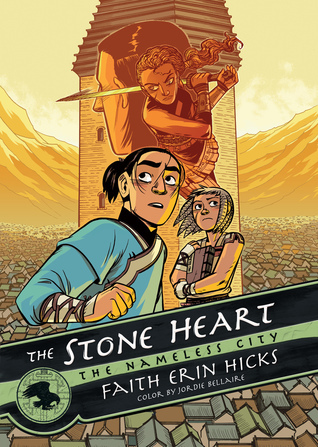 This nonfiction companion to Tarshis's historical fiction series I Survived, takes a look at real disasters that have occurred that involved children. 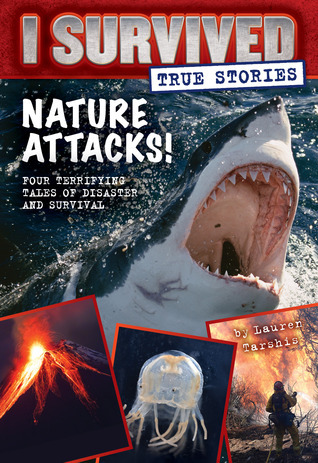 The stories in this second volume of the True Stories series looks at a shark attack, a jellyfish accident, a volcanic eruption and a wildfire. 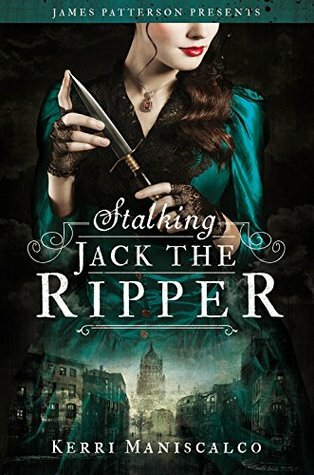 Tarshis briefly shares each story after which she includes some interesting back matter including photographs, historical living, statistics (when available), her sources, and related topics. 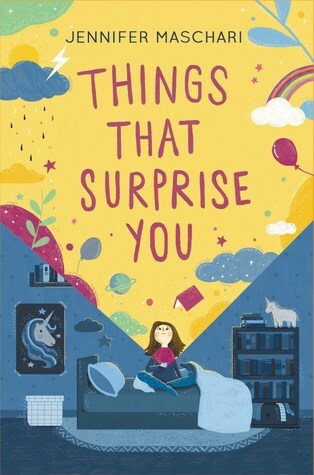 This book is bound to send students looking for other such stories and more information about these topics and stories. 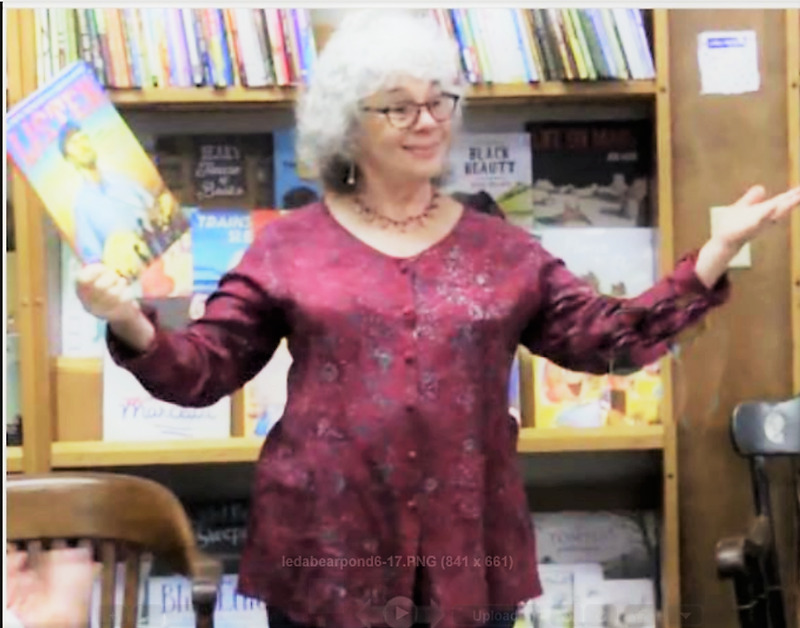 As a librarian, I especially appreciated her explaining about the research she does before writing each story. 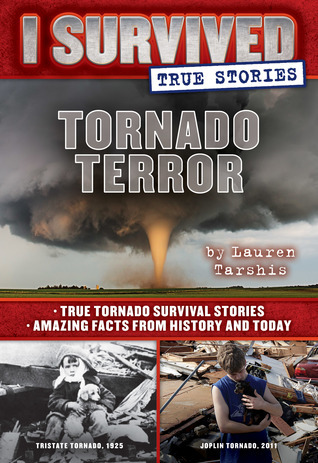 In this third book in the I Survived True Stories series, the author highlights two of the worst tornadoes to ever hit the United States. One took place in 1925, long before tornado watches, warnings and sirens existed, the other took place in 2011 in Joplin. Reading about what it was like to be hit by a tornado without the warning systems we have today was a bit scary. The sheer power of a tornado is always stunning and the photographs show that powerfully. On the other hand, Joplin residents ignored the first sirens because it had been forty years since they had actually been hit by a tornado. Luckily for them, a storm chaser notified local authorities that he'd actually seen a tornado and the sirens were sounded again which got through to some people. This book is particularly powerful because it shows in both text and word the damage that tornadoes can do. The additional information about the ranking of tornadoes, the challenges of forecasting tornadoes, and statistics regarding deaths all contribute to making this a fascinating book to read. The stories in this book provide the reader with a inside look at what it's like to live through one and not just information about them. 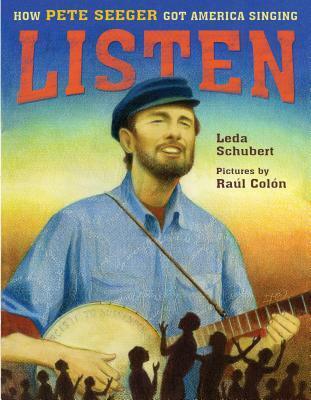 In this tribute to legendary musician and activist Pete Seeger, author Leda Schubert highlights major musical events in Mr. Seeger's life as well important moments of his fight against social injustice. From singing sold-out concerts to courageously standing against the McCarthy-era finger-pointing, Pete Seeger's life is celebrated in this book. Leda Schubert holds an MFA from Vermont College of Fine Arts in the Writing for Children and Young Adults and was a core faculty member until 2012. She is the author of many award-winning titles, including The Princess of Borscht, Ballet of the Elephants, and Monsieur Marceau, winner of the Orbis Pictus Award for Outstanding Nonfiction. Leda lives in Plainfield, Vermont, with her husband and two dogs. To learn more, and to download a curriculum guide, visit ledaschubert.com. Leda Schubert provides some great links to recordings and videos of Pete Seeger here. 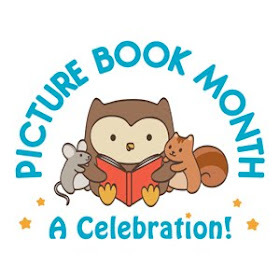 I'll admit, I have a special place in my heart for picture book biographies. I'm not sure why I love them so much, maybe it's the beautiful artwork that usually accompanies them. Or maybe it's the way the authors have to work so hard to choose just the right words to describe the person. Whatever the reason, I was happy to pick up this book about Pete Seeger. While I came after Seeger's time, I am very familiar with a lot of the songs that he brought to the world. In fact, I was amazed at how many of the songs that Schubert listed in her text I recognized. At a time when there is so much contention and disagreement in the world, it was refreshing to read this beautiful book about someone who worked hard to bring unity and peace. Someone who used his talents to inspire people to change themselves and then change the world around them. Unlike many who like to talk about change, Seeger worked to bring about change, he really walked the talk. Schubert's text does a great job of introducing this man in a way that children can understand and appreciate. I loved the way she integrated his song titles into the text as she talked about the issues that he worked so hard for. 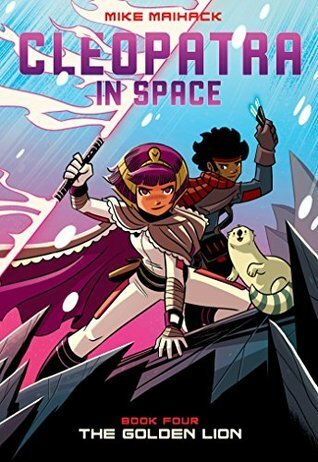 As for the illustrations, the minute I saw Colon's name on the book, I knew they would be gorgeous. And I was right. The soft texture of his illustrations suits the subject of the book to a tee. This is a book that I would highly recommend, not just for the historical impact that Seeger made, but for the inspiring example he could be for us today, through both his beautiful music and his focus on community. There are articles about people making a difference as well as creative uses of garbage. Infographics provide quick glimpses into junk in space, the most garbage producing nations, as well as facts about recycling and food waste. Brief quizzes and suggestions for contributing to the effort to reduce waste are also included. 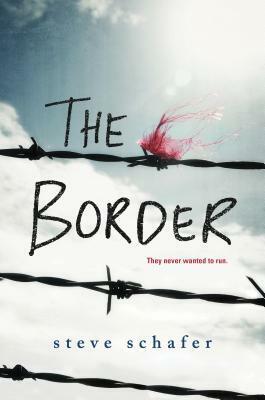 This is an important and eye-opening book for young readers. It would also make a great text for environmental studies classes. The illustrations are eye-catching if not always appealing (it is garbage after all).